A chalice that breaks a labyrinth seal." "Loran is a tragic land that was devoured by the sands." "The tragedy that struck this ailing land of Loran is said to have its root in the scourge of the beast." "Some have made the dreaded extrapolation that Yharnam will be next." 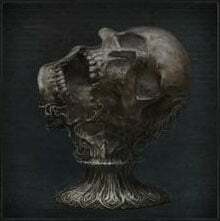 Ailing Loran Chalice is a Chalice Item in Bloodborne. Combining the Materials listed below in the Chalice will create a Chalice Dungeon. You must be at the Tomb Altar in Hunter's Dream to do this. The Beast Claw weapon is located in this Chalice in a chest through the bonus area door right before Layer 2 lamp. Many of the enemies in this dungeon are beasts. A fire weapon can make this chalice much easier. Sometimes drops as "Lower Loran Chalice" , when it is in fact "Ailing" and can still be distinguished by required offerings and depth. 4 Ritual Blood (5) can be found in this Chalice. The first large room in Layer One (with the 8 hooded Beasts walking around) is an excellent place to quickly farm Blood Echoes. With Moon rune equipped, clearing the room nets over 40,000 echoes in under one minute with almost no risk. The Loran Chalice Dungeons are characterized by more Beasts, and added weather effects. I have beaten the Abhorrent Beast 3 times now and i still don&apos;t have the Lower Loran Chalice. Is the drop chance random? "A fire weapon can make this dungeon much easier." Most of the time this is true, though some other enemies in the dungeon are partially immune to fire, including the Loran Clerics, Gels, fire-wielding Watchers/Madmen/Guardians, of which there are many in Loran. Serration is the primary weapon factor you want to stick to, which makes either the Saw Spear or the Church Pick your best bet (not sure why the Church Pick is considered serrated, but it is), since there aren&apos;t any enemies with a resistance to serration, and both of these weapons retain their serrated status upon transformation. Maybe keep just one weapon equipped with fire blood gems attached, then a secondary weapon without. You can also try using beast hunter gems, but keep in mind that this generally reduces the raw damage output, making the weapon weaker against non-beast enemies. "Some have made the dreaded extrapolation that Yharnam will be next." Interesting to note that the lowest levels of Yahar&apos;gul are flooded with sand and covered in dried-out vines, not to mention Darkbeast Paarl is located just outside the city, at the entrance to Old Yharnam, which of course is full of creatures also found in Loran. Makes me wonder if Loran never existed, and if the dungeon is actually just a vision of the future of Yharnam. If you read much Lovecraft, you start to realize how many of his stories revolve around someone receiving horrifying visions of the future and the decay of human intellect. I&apos;ve been running chalice dungeons for blood gems could anyone tell me where I could find good "atk-up" gems. All I seem to find are physically atk up, I just want to find straitout atk-up. Do you have to only be carrying one weapon in? You do not get an upgraded version of weapon. That poster is fag. I havent gone deeper than the first one. it is all reused bosses no unique ones. also the extremely unfair layer 3 loot room. im sure you know what i am referring to... 2 bell ladies past multiple enemies that summon 5 or so spiders EACH. on top of this there is an annoying bug where sometimes summoned enemies wont die upon killing the bell lady. so you can imagine how that plays out. I&apos;ve killed Amygdala twice; once in Normal and once in NG+. Both times the Ailing Loran Chalice item was NOT rewarded. The trophy for the item was however unlocked after the first kill. Any suggestions on what might be causing this, or if there is a work around to get the chalice? Need it to obtain my final weapon; beast claws. Thanks in advance. Whats the recommended level for this dungeon, im trying to get the beast claws and im level 60. Trying to get to the beast claws and any help would be greatly appreciated. Psn InSaNe_ShaNe_88 Add if you&apos;re willing to find a coop buddy and help.